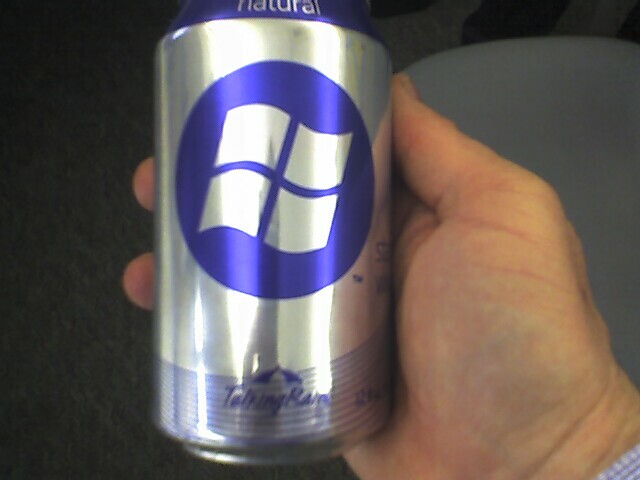 My manager came back from a week at the “2007 Lotus Notes .NET Integration Workshop” They found a new way for the attendees to “Drink the Kool-Aid“. Talking Rain in a MS branded can. Trying to convince him to sell it on e-Bay.